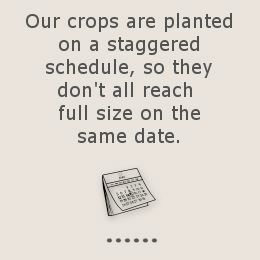 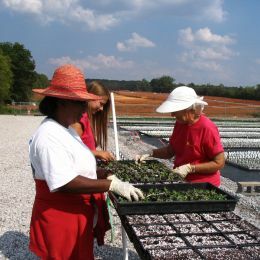 Our first crop is generally available by October 1, with a new crop coming online each week through November. 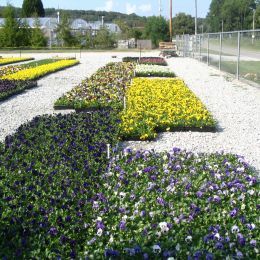 Pansies planted in the fall can bloom all winter, finishing with a wonderful display of blooms climaxing about middle of May. 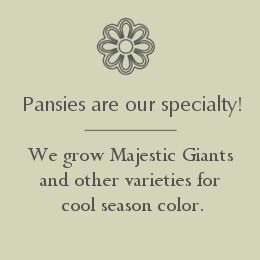 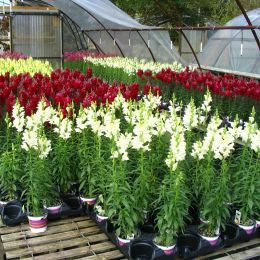 Along with pansies, we grow many other things for the cool season, including violas, ornamental kale and cabbage, dianthus, snapdragons, Swiss chard, ornamental mustard, dusty miller, and more. 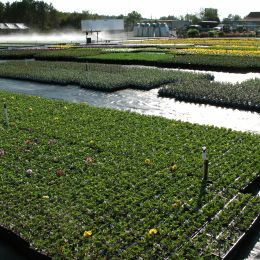 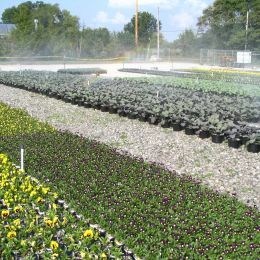 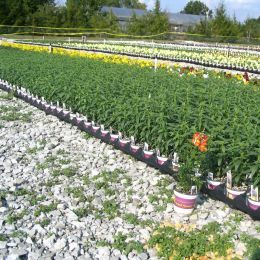 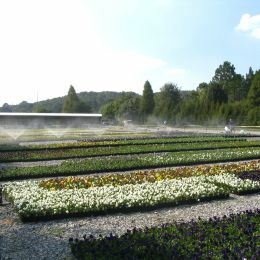 Pansies and other cool season crops are located for easy shopping in Greenhouse Number 14, as well as the growing field south of Greenhouse 14.